If you’re applying for scholarships—or if you’re guiding students, managing awards or helping a family member—you know we’ve hit the busiest part of the financial aid calendar. Many state FAFSA deadlines are approaching; colleges are beginning to put together aid packages for current and potential students; scholarship application deadlines come and go nearly every day. Lots of deadlines also mean lots of information. 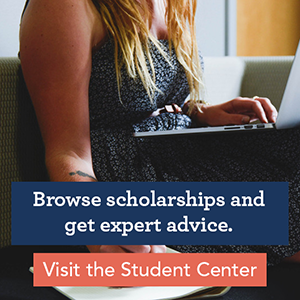 Most of that information is helpful, but not everything you see or read will tell you the whole truth—especially if you’re part of the growing segment of college students whose path differs from the “traditional.” If you’re an adult student, a military veteran, a part-time learner or a technical school student, here are the facts behind some scholarship myths you’re likely to hear. Myth: U.S. military veterans have all of their college costs covered. Fact: Costs of living and unexpected bills can get in the way, even for vets. It’s an incredibly generous benefit. 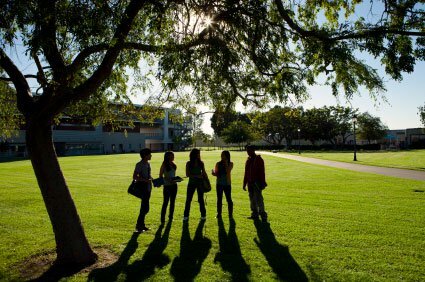 However, it doesn’t always mean an end to college-cost worries. Costs of living are not included in GI Bill benefits, meaning students are likely to have to balance work and school. That can mean a degree takes longer to achieve—in many cases, longer than the 36 months allotted by the bill. Veterans pursuing graduate degrees can also run into these time limits. Even for vets studying full-time with GI Bill funds, an unexpected financial crisis like a car breakdown, an increase in rent or a health issue can force college plans to be put on hold. Fortunately, increasing recognition of these gaps has led to the establishment of a number of scholarship programs for veterans and their families. At Scholarship America, we work with Wells Fargo to administer scholarships for veterans in need, as well as emergency grants for college vets who encounter sudden financial stumbling blocks. AMVETS, the Pat Tillman Foundation and the American Legion also provide scholarships for vets; organizations like Folds of Honor and Thanks USA help out the spouses and children of veterans, providing one more way to relieve the worry of paying for college. Myth: Financial aid is only for 18-year-old high school graduates. Fact: Most adult and returning students are eligible for federal, state and private-sector assistance. We’ve written before about the changing face of the “typical” college student, but this surprising fact bears another mention: nearly half of America’s 20 million college students are over the age of 25, and just five percent fit the “traditional” profile: graduating from high school, heading to a four-year university right away and living on campus. Colleges are working to solve these challenges in a variety of ways including more flexible class times, office hours that extend beyond 9-5 and more robust online options. And scholarship and financial aid providers are beginning to follow suit. In Indiana, for example, the statewide “You Can Go Back” initiative is dedicating $7.5 million to help adult learners who started college go back and complete their degrees. The National Association of Student Financial Aid Administrators (NASFAA) has issued a highly useful tip sheet for adult students, addressing everything from displaced worker retraining to resources for paying rent. All adults planning to return to college should check it out. Finally, adult learners shouldn’t hesitate to apply for scholarships. Some, like the Alpha Sigma Lambda scholarships and the Soroptimist Live Your Dream scholarship, are geared specifically toward returning students. (One recipient of that award, Amanda Condon, is also a Scholarship America Dream Award winner!) Many other scholarships, like those you’ll find on our Open Scholarships listing, are open to any undergraduate regardless of age—and, as an applicant balancing family, work and school, your life experience can make for a compelling scholarship application. Myth: I can’t get a scholarship if I’m going to a two-year college. Fact: Technical, trade and vocational scholarships are widely available—and valuable. Too often, when we think of “higher education,” we immediately think of a four-year bachelor’s degree. But, while that degree is often the ticket to a good job, it’s not the only way to develop skills. Two-year associate’s degrees are one of the most cost-effective ways to get a higher education, with an average out-of-pocket cost up to $20,000 less than completing a bachelor’s degree. And two-year degrees can also lead to good jobs right after graduation, depending on your interests and your field of study. Community and technical colleges are among the best deals in higher education—and, in many places, the deal is getting even better, thanks to the College Promise program. First launched as a statewide program in Tennessee, College Promise is now a nationwide network of schools that agree to cover the “last dollar” of unmet financial need for all eligible students. The program’s ultimate aim is to make community college free for anyone; as they work toward that goal, it means two-year degrees are a bigger bargain for more students every year. Whether or not you’re able to take advantage of a College Promise program, there’s still financial aid for your associate’s degree. All community college students should complete the FAFSA annually; as long as you haven’t finished a bachelor’s degree you may be eligible for Pell Grants. If not, the FAFSA is still your key to accessing state financial aid. Last but not least, your college’s financial aid office likely offers a number of need- and merit-based scholarships, and private scholarships abound, especially for students who plan to transfer to a four-year school after earning an associate’s degree. The world of financial aid and scholarships can be confusing, but it’s important to separate myths from fact. If you or your family have further questions, your financial aid office is there to help!